Aaliya Reiner is made of strong stuff. But when her mother passes on, she seems to lose her grip on life. Things don’t seem to get better with her sister, Maddalena, who’s estranged and enjoying the benefits that come in a marriage of power and opulence.Aaliya takes refuge in a passionate and hidden love affair, hoping to fill the void left by her mother’s death. But desire can be deadly and the kingdom of Traegos is becoming a dangerous place. When the dark web of politics and power begins to ensnare the kingdom’s inhabitants, choice and chance collide leaving Aaliya with only one option left to survive. The River and the Ravages is a story of identity and freedom, tragedy and betrayal. 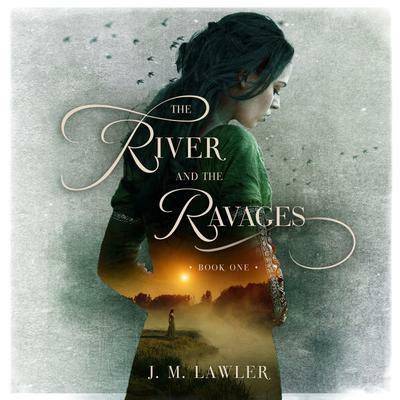 It’s a novel about loyalty to oneself, one’s family and one’s history, and how sometimes, certain kinds of loyalty can do more harm than good.The River and the Ravages is the start of a gripping fantasy trilogy.